Team structure: Divide your sales team into 2 teams (or whatever’s appropriate according to the size of your team). As for team names? Go for something fun like Team Hamburger, Team Hotdog…you get the point. Everyone will laugh about that. 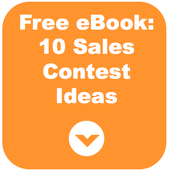 Use this sales contest idea for a little extra sales motivation this summer!